Zimbabwe National Rugby team, Sables players, were forced to spend their night on Tunis streets in Tunisia in protest of their poor accommodation and lack of proper pay. 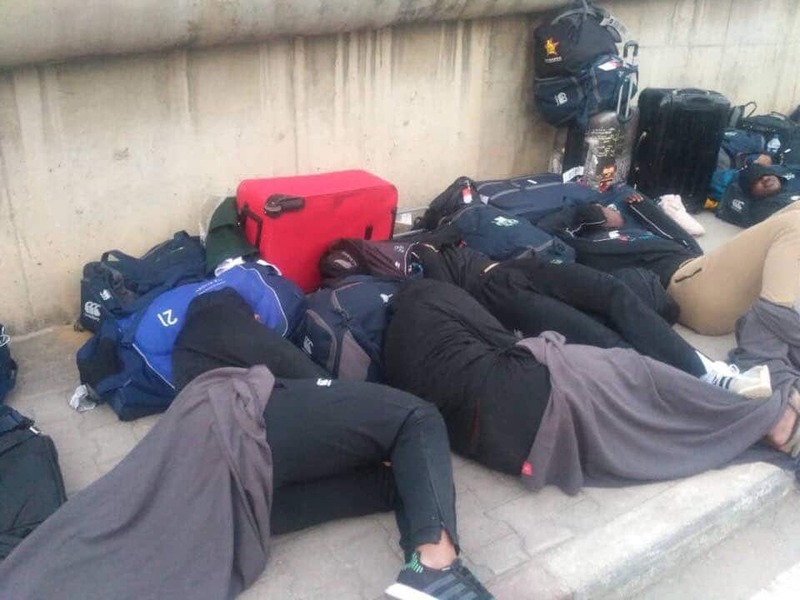 The players were frustrated for being booked into sub standard hotel after spending more than 6 hours at the Carthage International Airport where they were unable to pay €20 (Ksh2300) visa fee per player which had initially been waivered. The players passports were allegedly confiscated by the Tunisia Immigration office as they demanded for the players to pay 600 Euros total for their Visas. The Rugby team are protesting poor payment and poor accommodation claiming that they receiving substandard treatment and no payment despite representing their country around the world. The Sable players are representing their country in Tunisia after leaving Kenya for a match with the Simbas where they were beaten 46- 36 in Gold match.